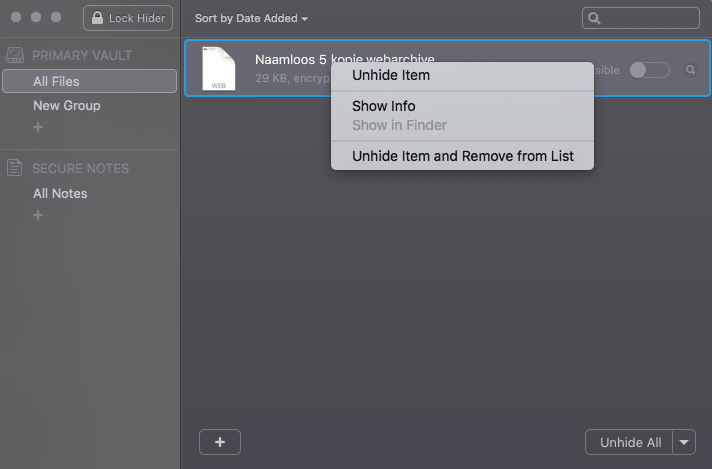 MacPaw’s HIDER 2 is a utility, which hides your files by making them invisible. We all have personal information on our computers which we rather don’t share with public eyes. 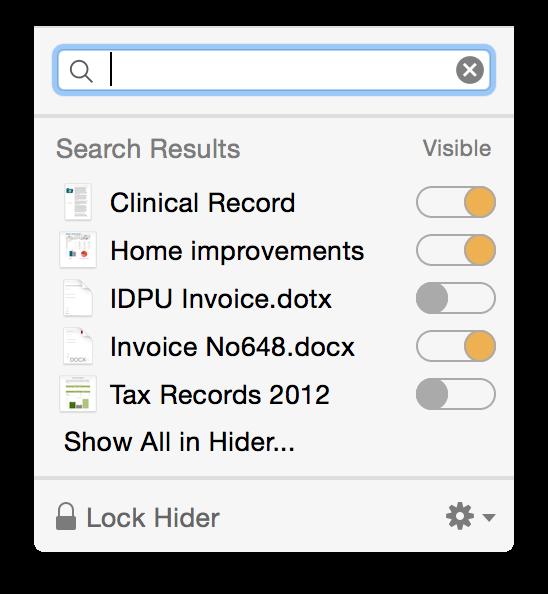 HIDER 2 is one of those utilities which helps us in hiding files and folders to local or external drives. There is no FTP support however. 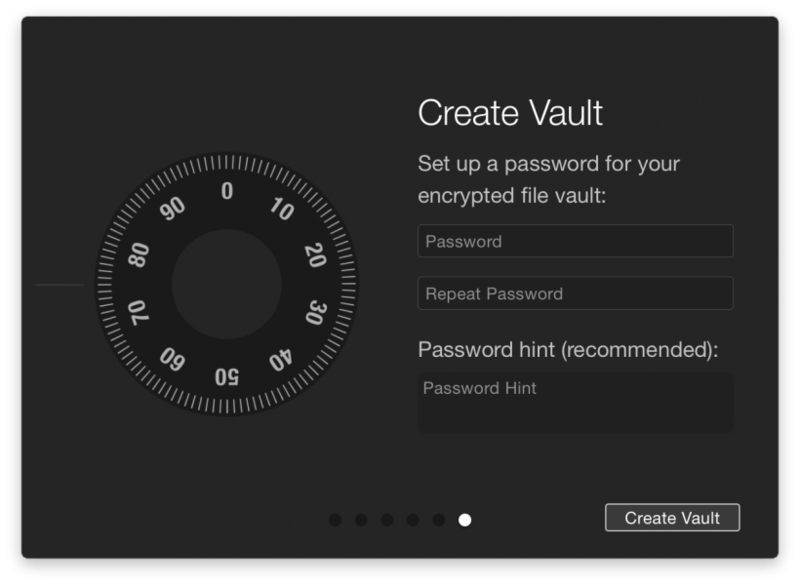 Really straightforward to setup the vault on your local disk or an external harddrive. Provide a chosen password and you’re on your way. 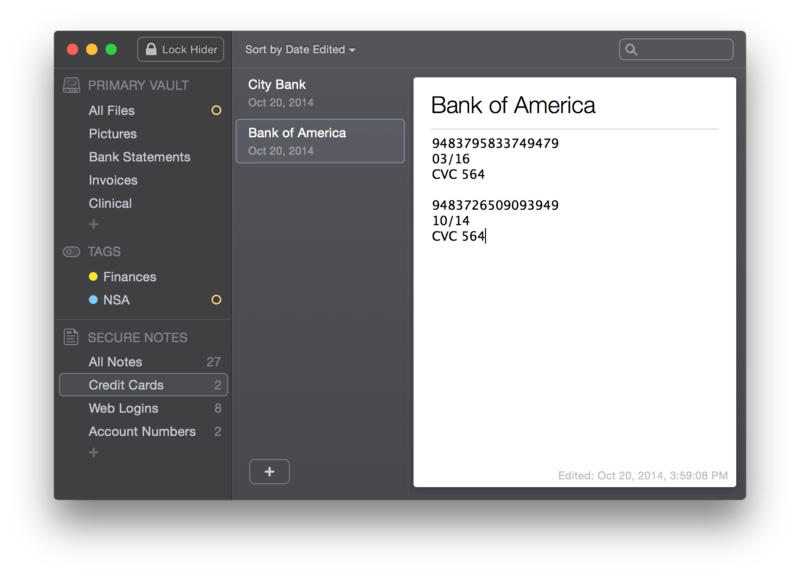 The password is stored in OSX KeyChain. 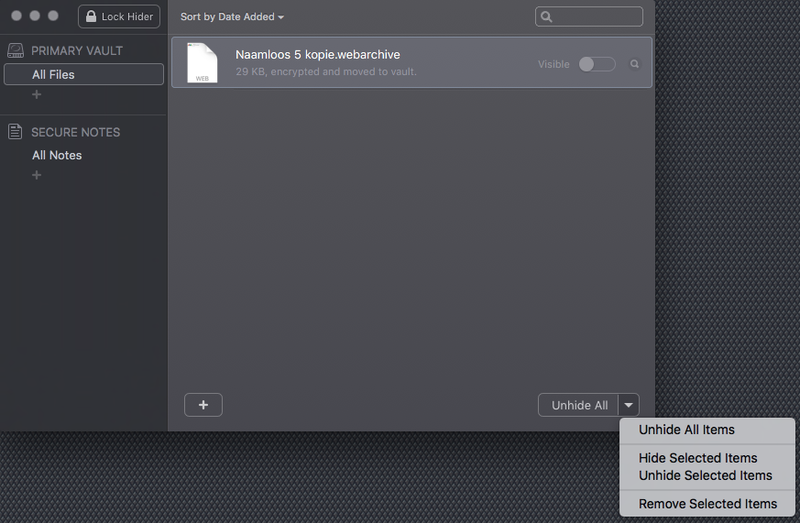 Just drag and drop your files or folders to the vault and AES-256 encryption will make them invisible. When you toggle an item’s switch to visible, Hider 2 copies the item back to its original location. You may create groups if needed. Deleting files or folders from your vault is easily done from within the vault. However they will remain in their original location on your disk and thus visible to the public ! 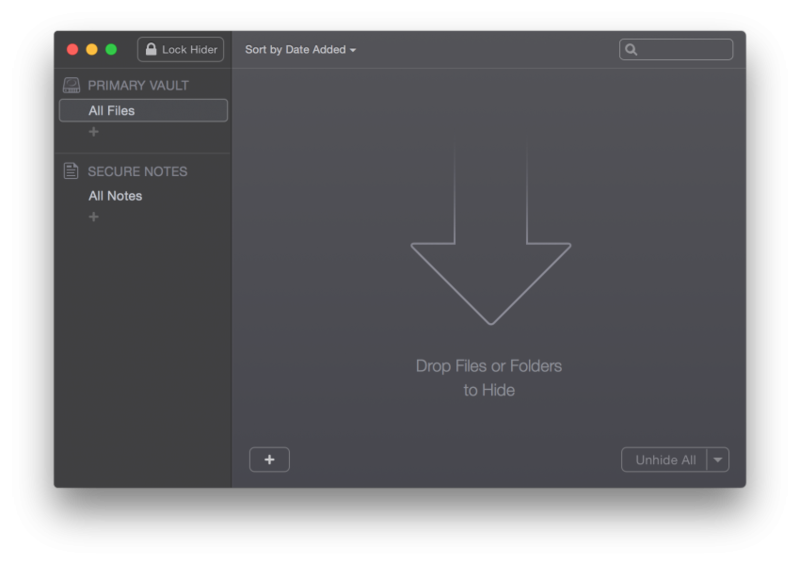 HIDER 2 uses AES-256 encryption, and encrypting files is quick. 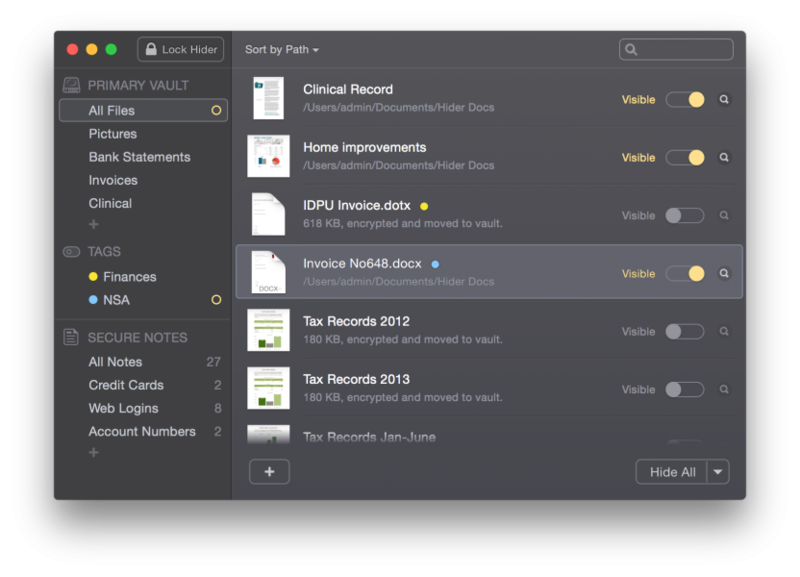 However large folders will take up more time and also depends on your MAC’s performance. 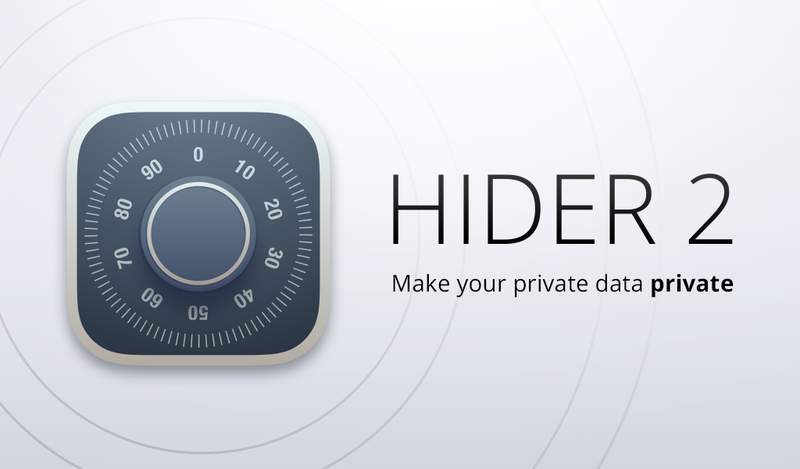 HIDER 2 is a good utility and is easy in use. A must have for all who wish to keep their files private.